It was only a matter of time. 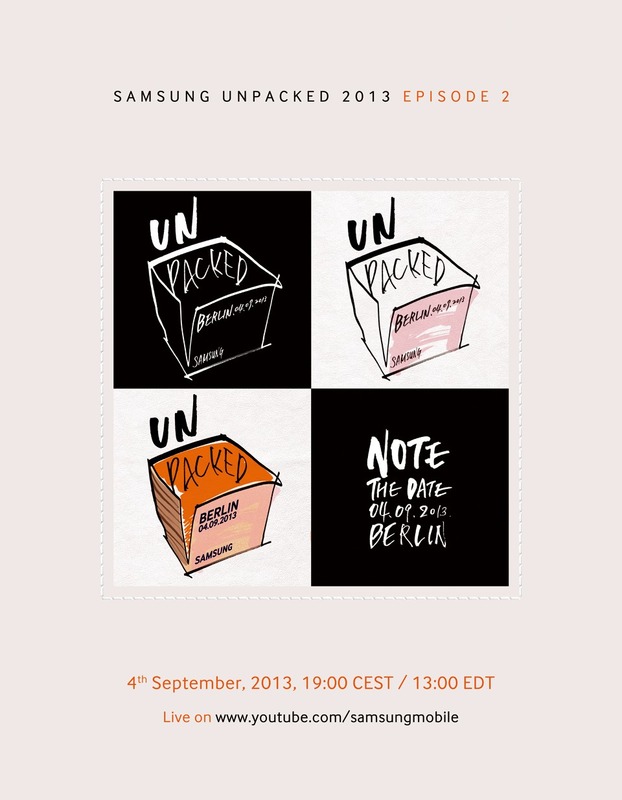 Samsung just sent out invitations to the their latest Unpacked press event, this time labeled "Episode 2." 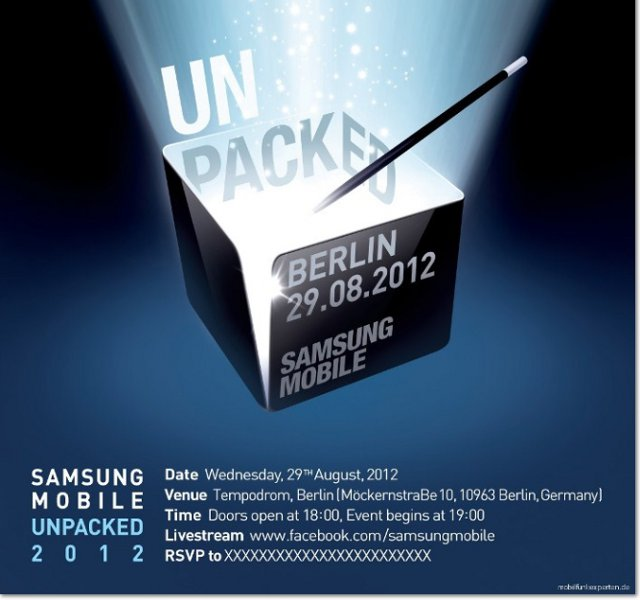 It's scheduled for 1PM EST on September 4th, just under one month from today, before the annual IFA show in Berlin. 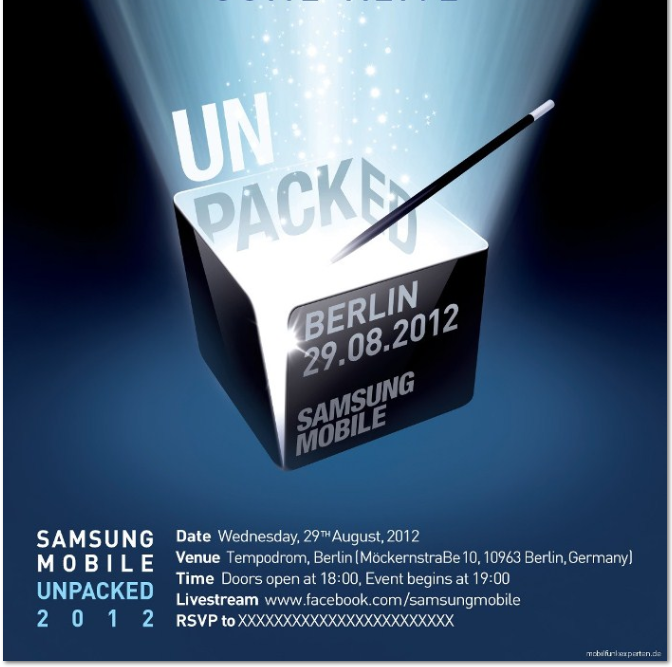 Android newshounds will recall that the original Galaxy Note got its debut at the same venue back in 2011. 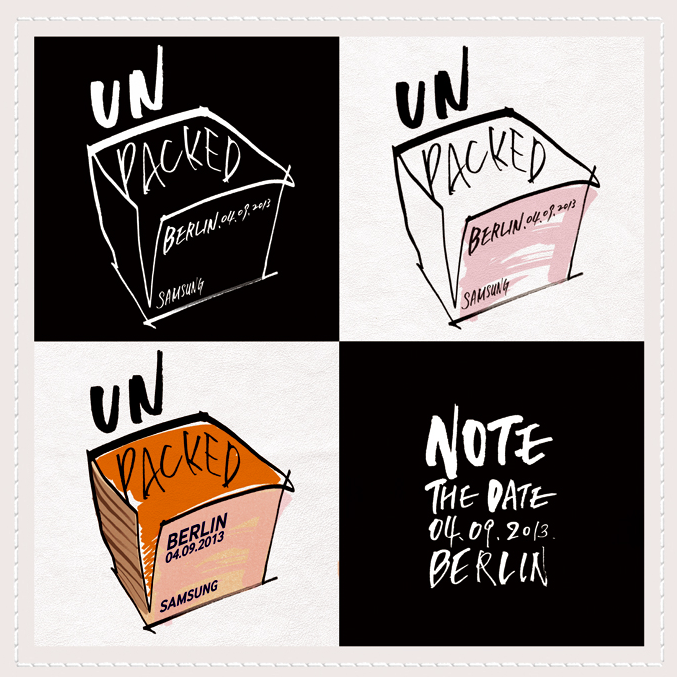 There's little doubt that new Note hardware will be the focus of this event: stylized text reading "NOTE THE DATE" is emblazoned on the invite. 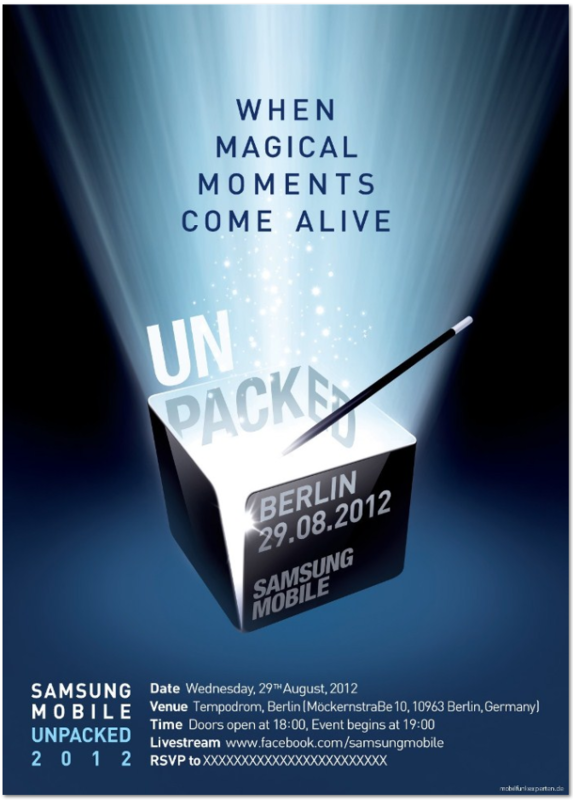 The Galaxy Note III is the obvious choice for a reveal, but as they say, it's not over until the fat lady sings. Now you can see first hand what happens when Samsung, a couple of magicians, and and MC who talks louder than everyone else get together. It's pure magic (get it?). Watch it, love it, and think about how dang cool that camera really is. It doesn't really get any more obvious than that, so we'd be willing to put some money on the table that the next iteration of the Note will definitely be the highlight of the event. Digital Daily didn't stop with event details back in July, either; it also gave some pretty believable specifications about the device, noting that it could have a 5.5" display with a smaller bezel, which should keep the overall device size comparable to the Note 1.